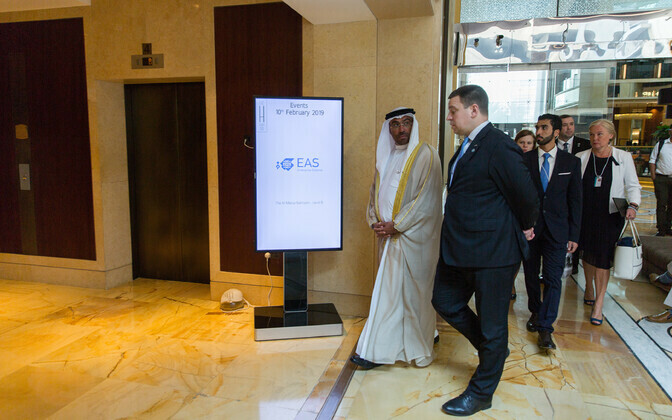 Prime Minister Jüri Ratas (Centre) was in Dubai, UAE, on Sunday, speaking at the World Government Summit there. Mr Ratas focussed in his speech on Estonia's progress in the digital sphere, and future development possibilities for public sector services. "Digital solutions have the ability to generate economic growth, render our governments more effective and the world a better place. 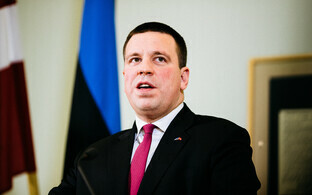 We have borne witness to it in Estonia," Mr Ratas said, adding that with the restoration of independence in 1991, Estonia had to start from scratch. "We soon realised, however, that our future and well-being depend on how effective and innovative we are," he continued. "For the past 20 years, Estonia's public sector has constantly sought to improve its digital capacity. We have been innovative and open. This, in turn, has helped increase our economy and social coherence," Mr Ratas said. "This does not mean, however, that we have become complacent. Our wish is to have state services designed in accordance with people's life cycles. For instance, with the birth of a child, the parents would automatically receive the child's national ID number, start to receive any state support, and so on. Everything a person has a right to receive from the state, should be received automatically,'' he went on. "Our public sector already includes services based on automatic data collection or artificial intelligence (AI), and there are even more currently being developed," he said. 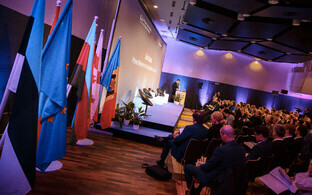 "Estonia eagerly awaits cooperation with other states in building digital bridges between our countries and regions. Doing so would help us share our knowledge and experience in order to expedite economic growth and create new jobs,'' he said. The World Government Summit is an annual event held in Dubai which brings together government officials, thought leaders, policy makers and private sector chiefs for global dialogue about governmental process and policies. It focusses on the issues of the future, technology and innovation. The summit hosts over 90 speakers from 150 participating countries, along with over 4,000 attendees and representatives of several international organisations, such as the United Nations (UN), the International Monetary Fund (IMF) and the Organisation for Economic Co-operation and Development (OECD). 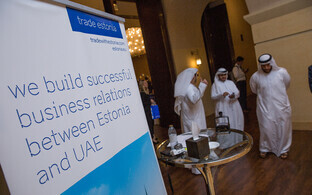 Estonia is an official guest at the conference this year. 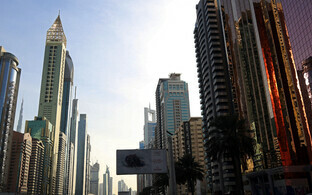 Enterprise Estonia officially opened its office in Dubai on the Sunday.